BD401 Artsy black and silver glass bead with sterling silver core. 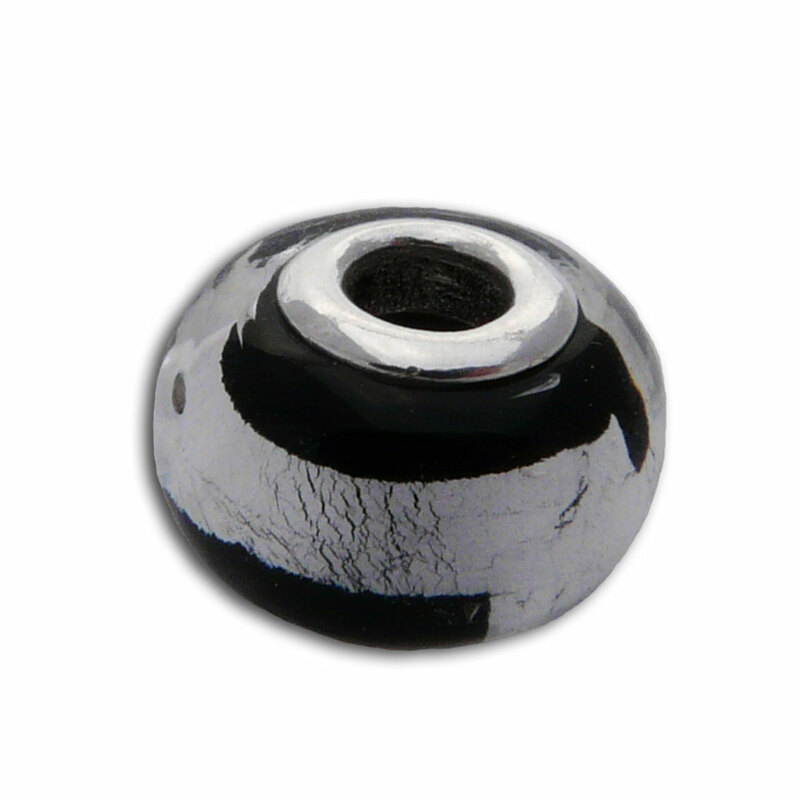 The 5 mm opening size is compatible with 3 mm chain bead charm jewellery systems (like Pandora, Troll and Chamilia). Fair trade 1.2 cm, 3 g.
Fair Trade Jewellery. 925 Sterling silver. Made in Thailand. Colourful chakra bracelet with all 7 chakras colours beads. Plus 10% savings! This chakra bracelet has 7 faceted stone beads with sterling silver rim for a total rainbow! They can be easily put on and off so you can wear one, a few or all of them at once.